NIIGATA - About 30,000 people from across Japan packed a baseball stadium in Niigata on Saturday for the annual counting of fan votes for the AKB48 family of all-female idol groups. In the eighth event, widely known as the “AKB48 general election,” Rino Sashihara, 23, of Fukuoka-based HKT48 garnered the most votes for the second year in a row, followed by Mayu Watanabe, 22, of Tokyo’s AKB48 and Jurina Matsui, 19, of SKE48 in Nagoya. 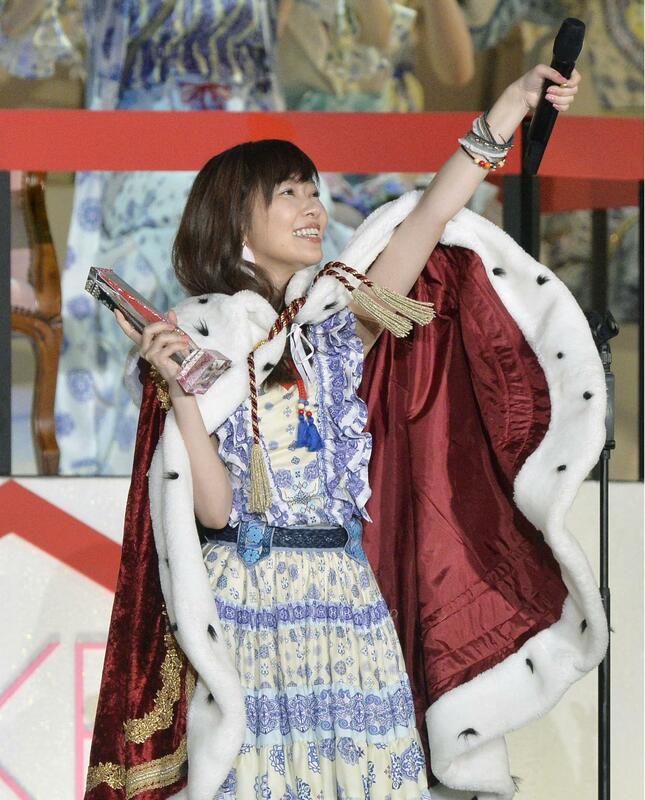 Sashihara also won the 2013 election. Those who made it into the top 16 were automatically selected as singers for a new song to be released in August. 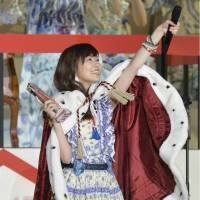 In the meantime, veteran AKB48 member Haruna Kojima, 28, used the occasion to announce her plans to leave the popular group. A total of 272 members of the main group and its regional sister units took part in the popularity vote. This year’s election was the second to be held outside Tokyo, following last year’s event in Fukuoka. Some fans said it was good to hold the event in another city because they could also enjoy sightseeing, and Niigata’s hotels were almost fully booked as visitors flocked to the Sea of Japan city for the event. The Niigata Municipal Government expects the event to boost the economy of Niigata Prefecture by ¥1.5 billion ($14.4 million).